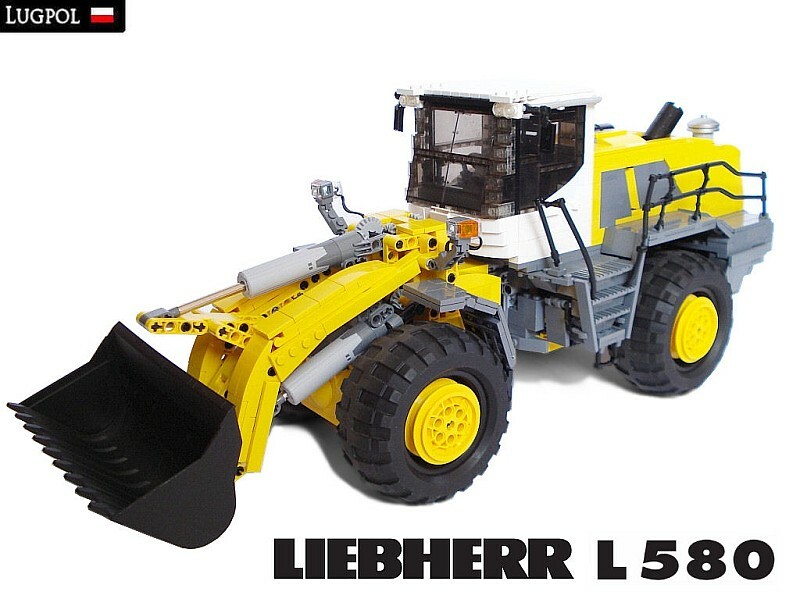 Today a 1:17 scale model of the 'Liebherr L 580' Wheel Loader, by Marek Markiewicz (M-longer), another LUGPol member. It looks like a sort of combination between Technic and Model Team ways of building, which produces a very nice functional and visual model. It has appeared online about two weeks ago and was featured also at some other blogs and forums with very positive reactions. And today, I took the opportunity to write about, also here at TBs . 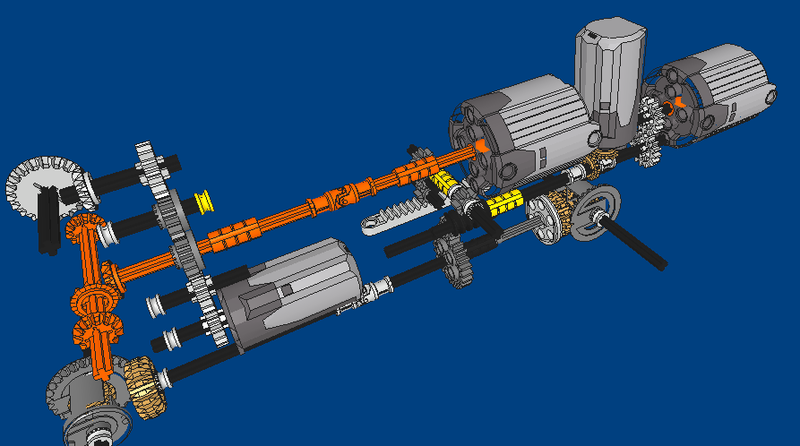 Marek also presented us with nice renderings from the internal gearing making comprehensive the model functions. Amazing and realistic appearance, built together with real working functions. Innovative and original solution for the wheels, conferring them a great look. More photos and comments about this model, can be seen at the several online places where Marek has presence (Brickshelf, Flickr, MOCpages). I think this loader is a work of art. Performs well, and it's the closest I've seen to the real machine. Congratulations to M-longer for this fantastic work. Still, nice work because it's not easy to do such a detailed model. Wow! this is amazing! the aesthetics are the best I think I have ever seen in a technic model! No offense to Paul, but I think that this loader is FAR more detailed than the one referenced. In fact, it may be the second best looking Technic MOC I have ever seen. Does anyone care to guess what the first is? This looks nothing like Sariel's model. For Automatic clutches information check out details on theclutchmart.com . TBs TechChallenge, 2009 - Heads-up!